This portable ultrasonic cleaner opens the new era of cleaning. 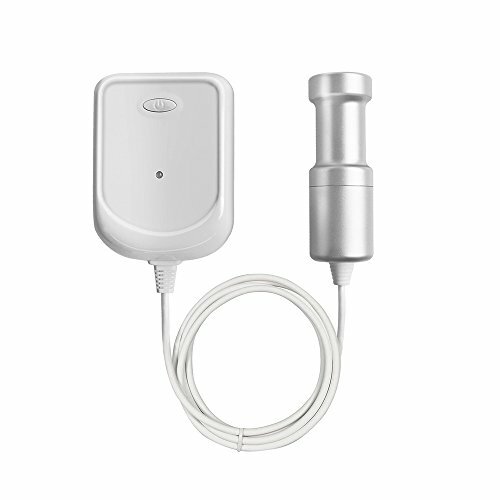 Input ultrasonic vibrating head design, no longer limited to the small container. The automation is achieved in the operation and workers have not to touch washing fluid, so it is safe and reliable and save the labor power. Pioneering Input Design：Input ultrasonic vibrating head is made of Aluminum alloy, achieving a 360°ultrasonic emission. Fully closed surface design with Insulated oxidation sandblasting treatment，significantly improved service life, simple reliable, easy to operate and carry. 50000HZ & 70W High Power：With the ultrasonic frequency of 50,000 times per second, 70W high power, effectively remove fruits and vegetables pesticides and bacteria. This item works at higher frequencies with less power consumption and water to focus on this idea of sustainability and the ability to transform how we live. Independent Power Control：Inserted the power controller into the plugboard, and put the ultrasonic transducer into the water, press the switch and start washing, which is very convenient. 1 Year Warranty : The quality assurance period for this product is 12 months from the date of purchase. If you have any questions about this product by GENENG, contact us by completing and submitting the form below. If you are looking for a specif part number, please include it with your message.